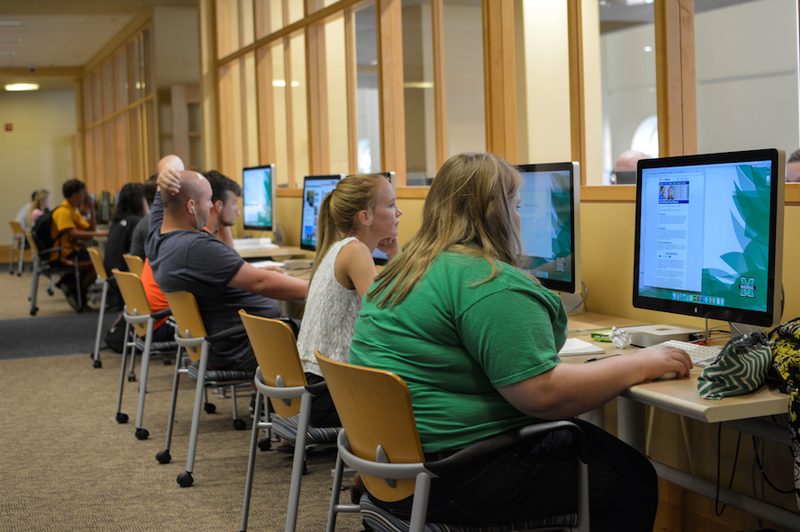 Students using the computers in Drinko Library. Students have been recieving a flood of “phishy” emails. Students and faculty all across campus may be noticing a spike in the rate of “odd” emails they are receiving recently. The files can come in several forms. Some students have reported getting emails that looked like they contained emails from chain retail stores and some talked about getting emails that were talking about bank information. The Information Technology Department said this problem can’t necessarily be fixed, but it will run its course. The department said if someone receives an email that looks “phishy,” it suggests to not open it. If the email does get opened, the department said not give out any personal information. According to IT, the university would never ask for information because it already has it all. If personal information gets out, it will potentially spread the email virus even further. When looking at a legitimate campus-sent email, IT said to look for the signatures of the sender. There will be a first and last name signature at the end of the email, a phone number for contact purposes and an official title of the sender. IT said if someone has any concerns, they can go to the information service desk in Drinko Library to get everything straightened out.